All Saints' Episcopal Church started as a one-room summer chapel in 1889. 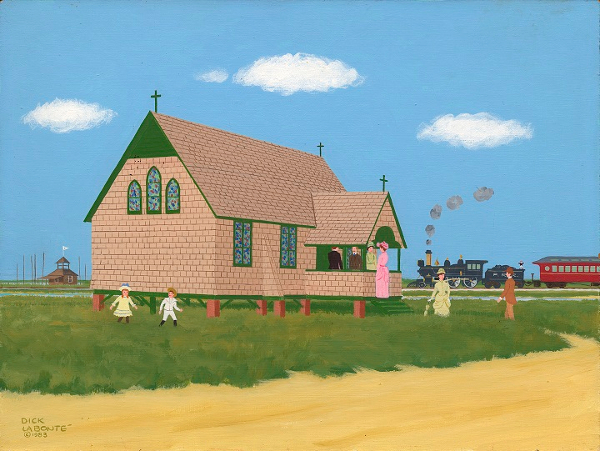 The small building in this painting became the core of the expanded church. In the distance is the first clubhouse of the Bay Head Yacht Club, also a one-room and built by the same carpenter a year earlier. Bustles were back in style in the late '80s so the artist bustled the lady on the porch.